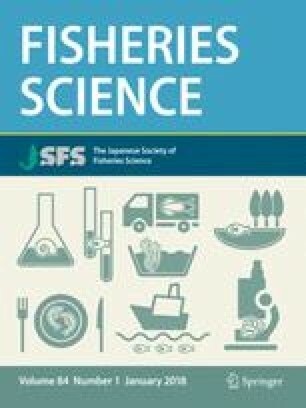 The effect of storage temperature (0, 5, 10, and 15°C) and killing procedure (instant, struggled, temperature shocked, and spinal cord destruction killing) on post-mortem changes in the muscle of the horse mackerel caught near Nagasaki, Japan, was investigated. Temporal changes in adenosine triphosphate (ATP), inosine monophosphate (IMP), and lactic acid concentrations were slowest at 10°C storage temperature. The increase in K-values was slower at 10°C and below than at 15°C storage temperature. In addition, 10°C storage temperature was most suitable for maintaining a constant breaking strength value of the muscle. Regarding the effect of killing procedure, temporal changes in ATP, IMP, and lactic acid concentrations were slowest then killed by spinal cord destruction. The increase in K-value and the decrease in breaking strength were also slowest in the spinal cord destruction group. From these results, it was considered that storage at 10°C temperature and spinal cord destruction killing procedure were most effective in delaying post-mortem change in the horse mackerel.